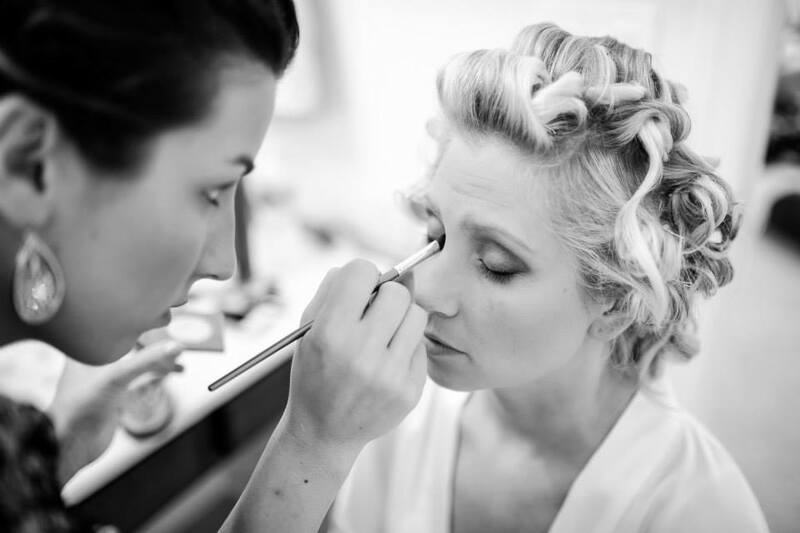 I have personally stood in more than a dozen weddings and have been a style and beauty consultant for more than fifty brides. 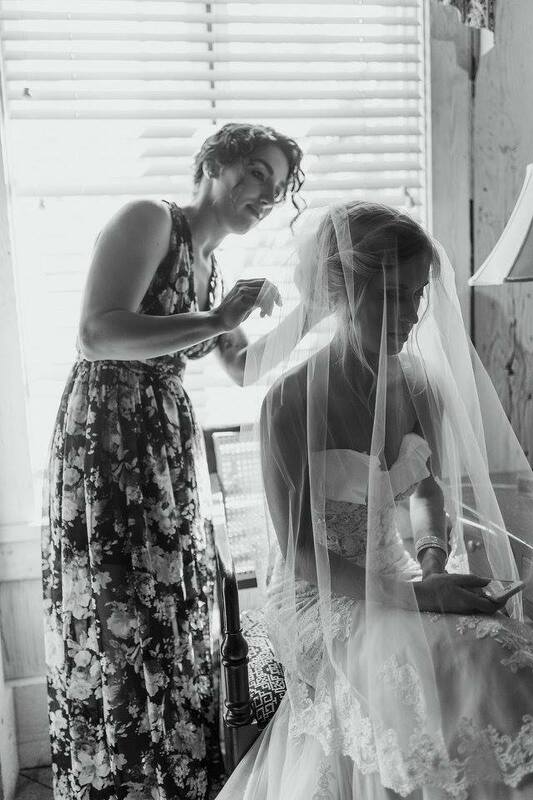 This experience, combined with my exceptional organization and communication skills, my affinity for tasks and completing to-do lists, and my love of serving brides on their most important day, is what led to the creation of my role as a Professional Bridesmaid. Literally, whatever you want. If you're a bride, think: "perfect maid-of-honor meets wedding coordinator, plus a little extra." My customizable packages allow you to pick and choose what services you want covered. No more awkward conversations with your bridesmaids about who is actually planning your bachelorette party or whether the groom's sister's dress is appropriate for the rehearsal. Consider me your administrative best friend. I will do as much or as little as you want; Still giving your girls the opportunity to show up for you in your wedding season, but taking the burden off their shoulders to understand and meet your every need. Which in the end, delivers a guaranteed stress free, drama free, and the most FUN wedding season ever for you and your squad! If you're a maid-of-honor or bridesmaid, I can assist you in any of the duties of your role. Just to be an extra set of hands so you look like a bridesmaid extraordinaire. I can assist with planning parties or showers, speech and toast-writing, or help you establish methods to keep up with the bridal party. Planning and executing Bachelorette Party/weekend, Bridal Showers, Bridesmaids Luncheon/Tea, and/or Lingerie Shower. Communicating with wedding party (including Team Groom) about attire, accessories, expectations, scheduling, financial obligations, etc. . Style consulting and hair/make-up services for you and/or wedding party for engagement photos, rehearsal dinner, and/or day-of. Researching and getting quotes from other vendors such as florists, bakers, party bus, etc. Communication and follow-up with other vendors about your needs/expectations/desires. Day-of coordination without the expense of a wedding planner. Stuffing wedding invitations, cake tastings, helping with wedding favors or crafts, etc. An objective opinion or point of view with no emotional attachment to your family, friends or colleagues. Bridesmaid dance choreography for a reception performance. Yoga classes for the night before or the morning of the wedding. Or anything else that is important to you! You're right, you don't know me... yet. Although, walking and standing in your wedding is something I would be honored to do, I have zero expectation of being that involved in the intimate parts of your wedding, I'm more of a behind-the-scenes bridesmaid. We've all been in weddings before where we've gotten to the point where we feel the duties of being a bridesmaid are overwhelming...And every bridesmaid has muttered the words, "When I'm a bride, there is no way I would ask my girls to do...". That's where I come in. Doing the tasks that you will need help with, still allowing your girls to do some of the fun things, but reducing the stress on everyone. Submit a message through my contact page to schedule a zero-obligation consultation.